Blackjack is the casino game that allows you to show some of your skills and abilities. Today online casinos offer a good number of different versions of blackjack. But, perhaps, the software provider that has most types of this game is Microgaming. Today there are over 40 blackjack varieties available in every Microgaming online casino. You can enjoy classic, bonus and progressive blackjack. You can play ordinary games or Gold Series blackjack, a single-hand game or multi-hand one. Whatever version of blackjack you choose you would never be disappointed. Now I’m going to tell you about Microgaming blackjack in details. The company offers Atlantic City, Big Five, Bonus Blackjack, classic Blackjack, Double Exposure, European Blackjack Redeal Gold, Hi Lo 13 European Blackjack Gold, High Streak Blackjack, Perfect Pair European Blackjack Multi-hand, Pontoon, Spanish Blackjack, Vegas Downtown, Vegas Strip, Super Fun 21, and Vegas Single Deck Blackjack. Almost all these versions are available in four variations – ordinary, Gold Series single-hand and multi-hand blackjack and multi-hand Gold Series. Gold Series games have more modern 3D view and realistic sounds so that you can feel you are in a traditional casino. Multi-hand blackjack allows you to play several hands at once. The rules of the Online Blackjack Gold Series games and multi-hand blackjack are similar to those of the standard blackjack games. The aim of any type of blackjack is to beat the dealer’s hand. To do your hand must be higher than the dealer’s one and not go over 21. The rules of each blackjack version are almost the same with slight deviations. The games that differ considerably are Pontoon, Spanish Blackjack and some others. Microgaming also offers several bonus types of blackjack. They are Bonus Blackjack, High Streak Blackjack, Spanish Blackjack and Super Fun 21. Not only can you win traditional blackjack while playing these games, but also some special hands may bring you big money or you can place a side bet and also win bonus hands. Microgaming is one of few gaming software developers that offer progressive blackjack. Triple Sevens is a blackjack game with the progressive jackpot. This jackpot is won very seldom, an average jackpot is about £50,000 and hits more rarely than once a year. The biggest ever blackjack progressive jackpot gave its winner about £170,000! None the less, millions of players win at blackjack tables every year. This game has quite low house edge that makes it very popular with players. Those who use the basic strategy properly may increase their odds considerably and beat the casino in the long run. 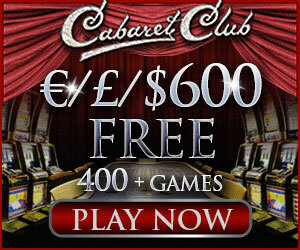 Some Microgaming casinos also offer different bonuses and promotions related to blackjack. You can also take part in various blackjack tournaments to try your hand and win good money. Play this great game, enjoy it and win!